Whenever I think of personal style muses and / or sources of serious outfit inspiration there are a handful of people that pop into my head. There are of course, those outfits I wish I could pull of and those which I wish I had an excuse to wear. However, in the world of style icons and fashion bloggers there are also the few who strike a chord and make an appearance time and again on my Pinterest boards and who's pictures I actually remember to like on Instagram. 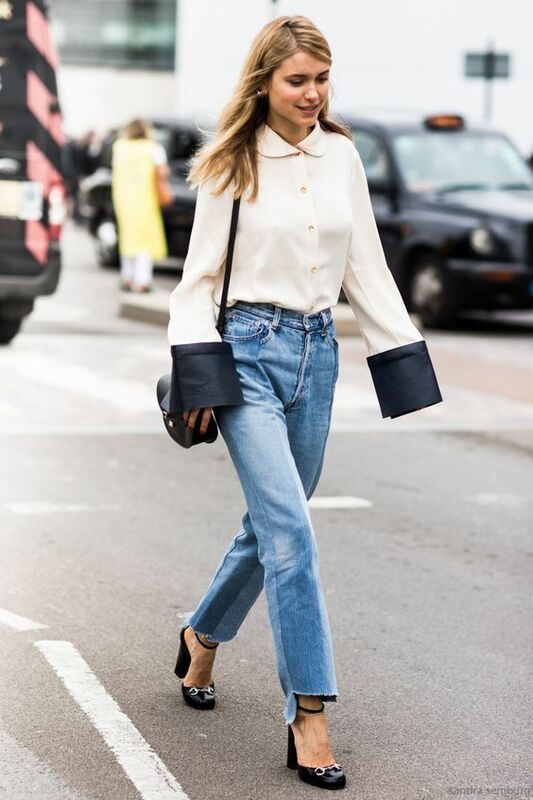 One such source of knowledge, a fashion oracle if you will, (with a high level of outfit recreatability - no that's not a word), is Danish editor and (ex)blogger Pernille Teisbaek. There is certainly something there, a je ne sais qui (to be cliché) to her outfits, that is, they all have a distinct and indefinable allure to them. I am obviously not an expert but I think that she has an obvious and remarkable aptitude for seamlessly juxtaposing modern and chunky silhouettes with classic and feminine pieces. It also definitely has something to do with her carefully curated personal style and distinct talent for pairing and layering unexpected and uber cool items. Without further ado, here are some of my favorite looks from her repertoire! I certainly google image or Pinterest search Pernille relatively often, especially when feeling the vintage denim and silk combination, or when I'm wearing my good ol' jean cut-offs. I immediately want to buy feminine shoes and ruffled tops to go with them. At the very least, I become much more creative after perusing her looks for any length of time. She closed her blog in February but her work can still be found here, as she is Fashion Director of the website.